My husband and I are planning an upcoming trip to hit the open road and head west. I can't tell you how excited I am to get out of my every day routine and into vacation mood! Recharge, rejuvenate, and get inspired by this beautiful country is my goal. We'll be visiting cities, small mountain towns, the country, and a couple national parks. Variety is the spice of life and I can't wait to see what we'll be cooking up! 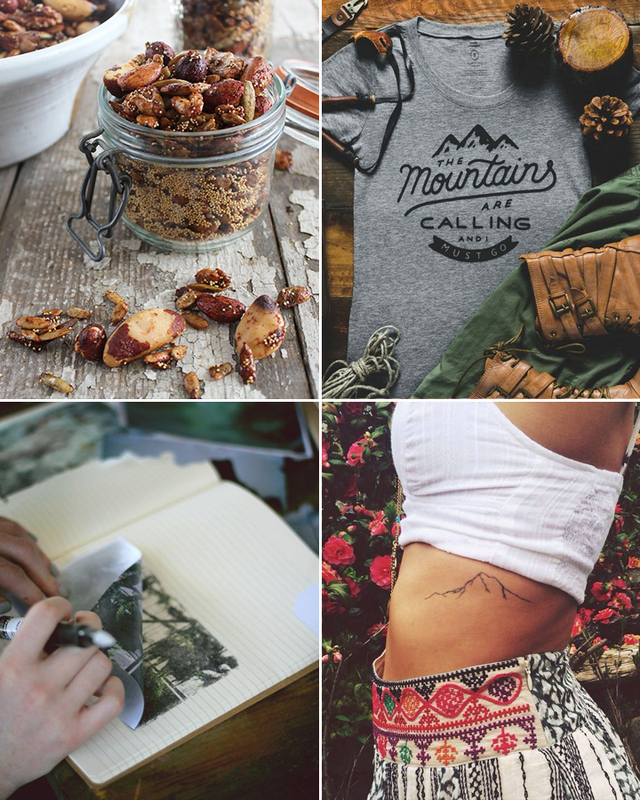 The perfect road trip wouldn't be complete without a delicious homemade trail mix, the perfect vacation tee, a journal, and a commemorative tattoo to celebrate your amazing trip. Oooh, homemade trail mix all day please! Have so much fun!